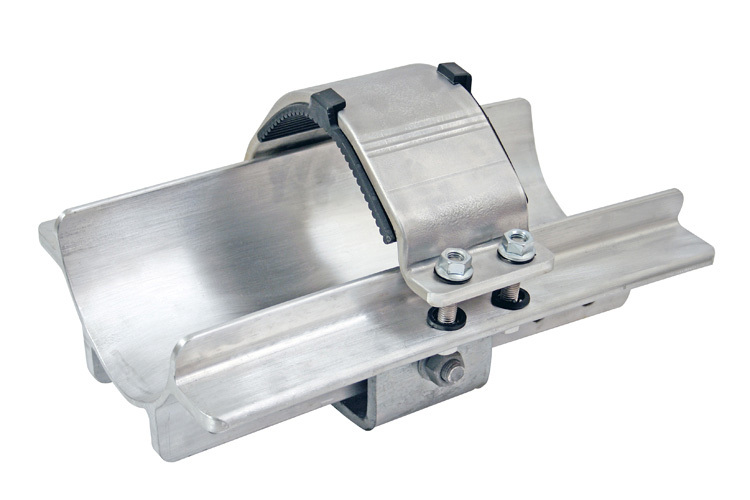 Centaur Cable Saddles by Ellis Patents are designed to support cables with diameters from 100mm to 162 mm, from support steelwork at centers of up to 8.4m. The saddles have been short-circuit tested at 64kA RMS, 163kA peak for 1 second. A full range of intermediate straps is also available. Ellis Patents can custom-make Centaur Cable Saddles to match different cable ODs, adjusts saddle lengths or bend them to accommodate the cable bend radius. Centaur consists of an extruded and pressed marine grade aluminum saddle and a hinged aluminum overstrap. The ends of the saddle are flared so that the cable never comes in contact with a sharp edge and the overstrap incorporates an LSOH polymeric liner, which cushions the cable in the event of a short-circuit. All the fixing bolts are in 316L stainless steel. To eliminate the possibility of galvanic corrosion all dissimilar metals are isolated from each other by injection molded separation washers. The saddles are available in lengths of 400, 600 & 800mm to allow for different cable diameters and mounting centers. Centaur saddles and intermediate straps were short-circuit tested at KEMA in Arnhem Holland in July 2008, using the commonly recognized National Grid requirement of 63kA RMS for a minimum of one second as an objective. Tests were passed on both three phase and phase to phase faults at 64kA RMS, 163kA peak. A copy of the full independent report from KEMA is available on request. Centaur has also been successfully tested for corrosion resistance having been subjected to an independent salt spray test carried out in accordance with BS EN 9227:2006 Corrosion tests in artificial atmospheres. In most cases Centaur will be used in tunnel applications where access to the side of the saddle nearest the wall will be restricted. The saddle is designed to be fixed to the support steelwork before cable installation. The hinged overstrap is installed once the cable is in place. All fixings are on the visible side of the saddle so there is no risk of tools having to be used over the top of the cable. 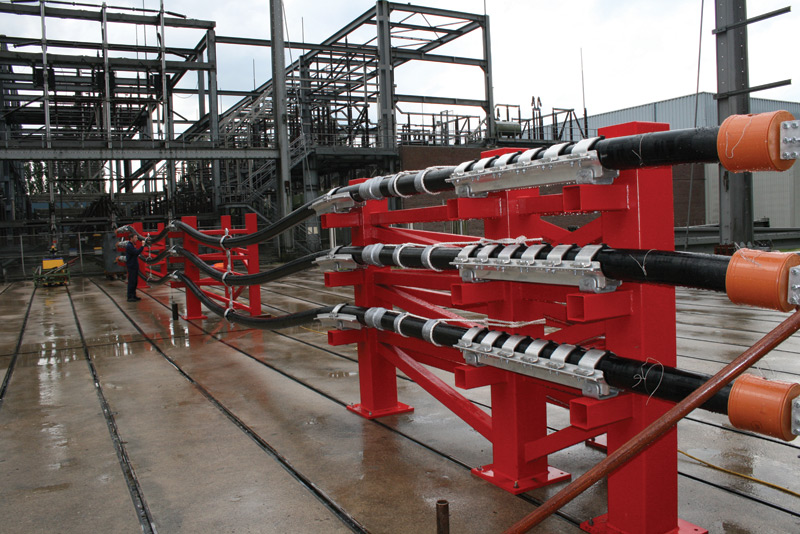 As an optional extra, a roller system can be provided to facilitate cable installation.